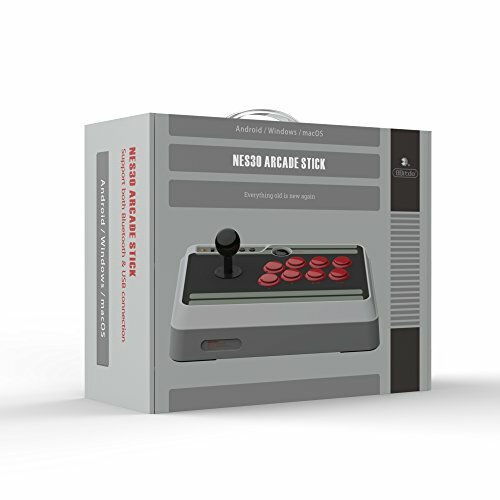 If you have a Nintendo Switch, you will probably appreciate this Arcade Stick for Nintendo Switch from the folks over at 8Bitdo. 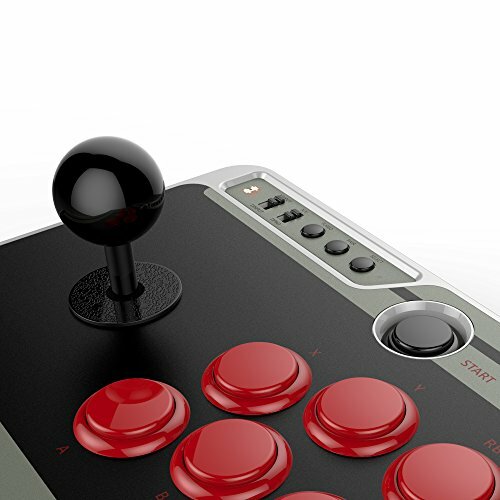 When you’re playing those classic-style fighting games, you’re going to want to do some serious button mashing. 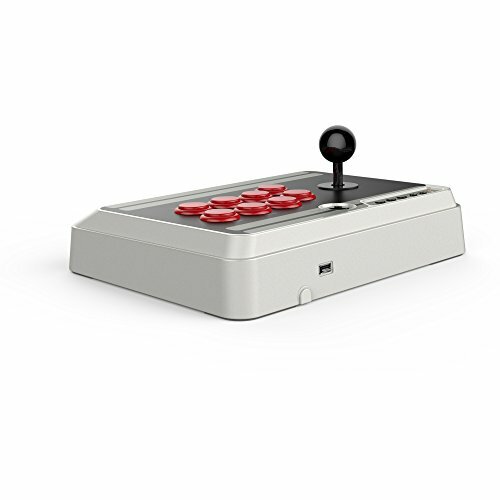 The 8Bitdo NES30 Arcade Stick for Nintendo Switch is exactly what you need for that. 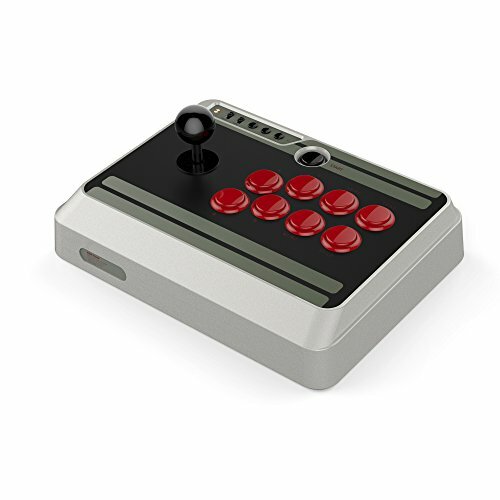 Designed to replicate the feel of old-school arcade gaming, it combines a large joystick with eight large buttons. You can use them to unleash all of your favorite combos. Let me tell you, it’s a lot easier to pull off a hadoken using this than with the tiny controls on the switch controllers. 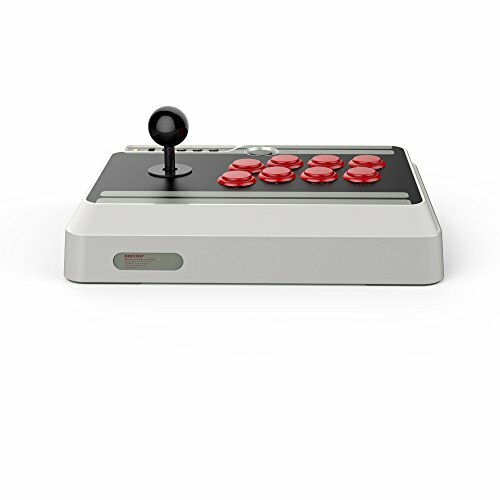 The 8Bitdo NES30 Arcade Stick for Nintendo Switch is wireless (Bluetooth), so you can park in front of your Switch console without having to deal with cables. 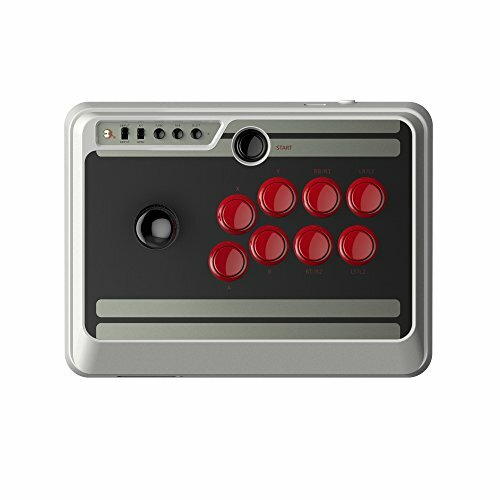 It’s larger than your Switch at 11.8 x 8.9 x 4.6 inches but still small enough to haul around in your backpack. Since it’s wireless, it has a rechargeable battery, a single charge of which will provide up to 18 hours of gameplay on a charge. While originally designed for the Switch, the NES30 is compatible with Bluetooth capable systems running Windows (7 and above), Android (4.0 and above), MacOS (10.7 and above). It will even work with homebrew Raspberry Pi rigs and Steam machines. For older games, it supports the old D-input protocol, along with the X-input that Microsoft introduced for the Xbox 360. There’s an included 10 foot (3m) USB cable if you prefer tethered game play. It’s also handy for when you’ve killed the battery after a Street Fighter marathon but still want to keep going. Dimensions: 11.8 x 8.9 x 4.6 inches (300 x 226 x 116 mm). Comes with a 10 foot (3m) tether/charging cable.